Packed with symbolism, this beautiful tapestry on the bottle elevates a Tribute to the French Art-de-Vivre into a work of art that will wow at any festive party you have planned, or as a present to the champagne fan in your life. For those in Singapore, you can make the gift a grander gesture by purchasing a bottle at Pedder On Scotts during the weekends, from today to 6 January 2019, between 4pm to 8pm. A calligrapher will be on-site to decorate the bottle with a name or a message of your request for added festive cheer. 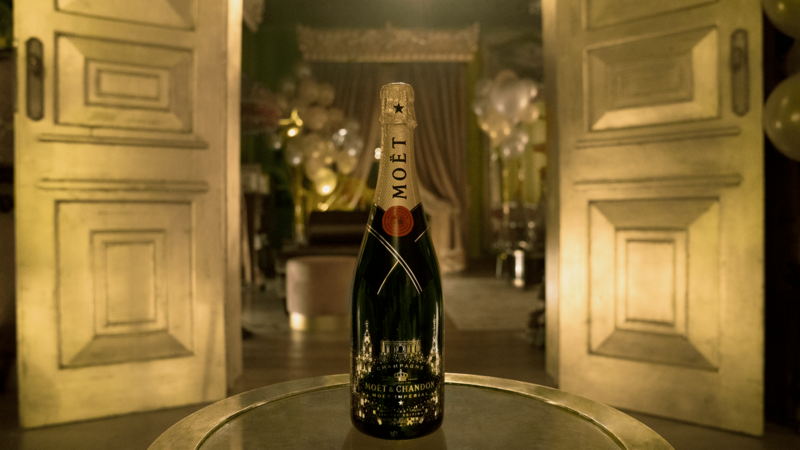 If there is one champagne bottle you ought to purchase for your Christmas dinners or New Year’s Eve parties, then let the Moët & Chandon Tribute to French Art-de-Vivre be your choice. The Moët & Chandon Tribute to French Art-de-Vivre bottle will be available at Pedder on Scotts.